With the devastating news about Tahlequah and Scarlet this summer, I found myself longing for a time when their struggles were not a common theme. I reflected on a time when I was a young boy and my grandfather took me out to his sailboat to see a pod of orcas in the San Juan Islands and was blown away by these majestic creatures. This memorable moment gave me great respect for the natural environment and a big reason why I’ve dedicated my life empowering people to become caretakers of the environment and our native wildlife. Our Southern Resident Killer Whale population have been in the national spotlight and it hasn’t been good news with no new calves born in the last three years. There are many factors for the decline in the 30-year low population relating to pollution, habitat, food supply, etc., and Stewardship Partners directly worked to solve these. Orcas rely heavily on Chinook salmon, another endangered species, making our work to restore habitat and keep our waters clean one of the most important actions we can do to help orcas. It’s clear that we are at a critical time for our Southern Resident orcas, and we urge you to take action to protect and restore habitat. Become a Stewardship Partner today by donating, volunteering, or learning what actions you can do in your daily lives. It’s my hope that I can show my grandkids orcas in the Puget Sound one day. Great ideas often start with conversations. So many environmental stewards (including Stewardship Partners), community groups, conservation districts and environmental government programs are working hard to protect and restore the ecosystems that make this place special, yet we rarely hear about all the positive impacts of that work. However, the time has come to start celebrating the work being done and raising awareness of projects big and small. To recruit and empower all our friends and neighbors to become stewards, we need to show them that positive change through stewardship is possible, these projects are working, and they will be duly rewarded for joining the stewardship ranks. Stewardship is dispersed across the region and is carried out by a lot of hands, working on many different projects all towards a clear and collective goal of a healthier Puget Sound. In an effort to see where we are at in reaching this collective goal, Stewardship Partners created Sound Impacts (SoundImpacts.org). After surveying dozens of partners in stewardship about what would make an impact metrics portal enticing enough to actually use, the Stewardship Partners team hired CAI (a Seattle-based impact evaluation and technology firm) to help us create and launch Sound Impacts as an easy-to-use, visually impactful, transparent, and robust tool. Version 1.0 has been online for over a year now and the result is truly transformational. Today on SoundImpacts.org you can create a user profile, measure your positive environmental impact, and start inspiring others to join in the movement to not just protect, but actually improve the environmental health and resiliency of our region. We know this is a large feat, but we also know it can be done. 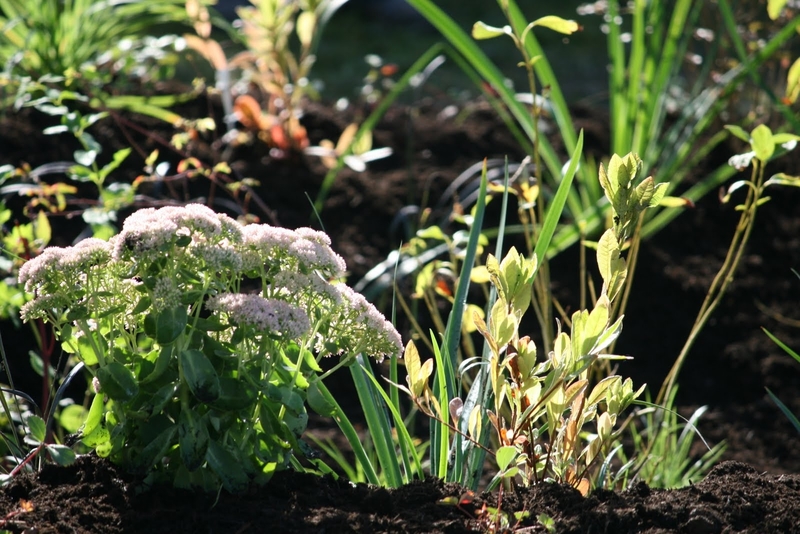 With over 4,000 rain garden projects and 89 permeable pavement projects currently registered, we know that our region’s stewards are already keeping over 70 Million gallons of harmful polluted runoff out of Puget Sound. But that is only the tip of the iceberg. With project types including tree plantings, invasive plant removal, depaving, and green roofs recently added, this tool is ready and waiting for many of our fellow stewards across the region to contribute their projects and watch the impacts skyrocket. As we begin to make plans for upgrading Sound Impacts to a 2.0 version, we will add impacts beyond stormwater managed to include the many co-benefits of nature-based efforts like carbon sequestration, air quality impacts, urban heat island impacts, and community health impacts. Are you ready to start telling your stewardship story? Look to see if the projects you have worked on have been registered on Sound Impacts and add them if they aren’t there yet! We know our region has a lot of stewardship heroes out there and we want to help tell the story of their work, so we can continue to inspire more individuals and communities to engage in acts of stewardship, building a movement to help leave this place better than we found it. You may have recently seen the faces of some of our supporters artfully displayed on bus sides and web banners around town. These are part of our new “I’m a Stewardship Partner” public awareness campaign, thanks to the pro-bono hard-work of Jill Marshall and Janice Merlino of Merlino Media Group and Cal McAllister, formerly of Wexley School for Girls. The campaign features photographs, treated by local artist and musician, Brandon Milner. These feature a few of our community of supporters expressing how Stewardship Partners helps them become caretakers of our land and water. In the coming months, this campaign will continue to be featured throughout the Puget Sound region. Look for “I’m a Stewardship Partner,” on billboards, bus sides, on the radio and in digital, print, social media and more.